On Sunday, music producer James Lavelle is profiled in The Man from Mo'Wax while, next Monday, filmmaker Ken Wardrop introduces the IFI's Bigger Picture screening of Errol Morris's classic Gates of Heaven. 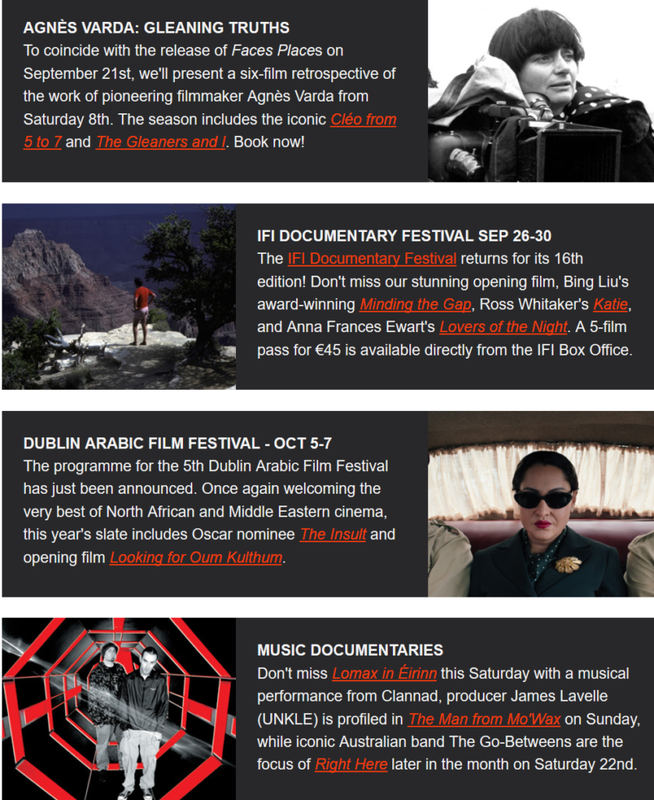 Finally, following the huge success of the IFI Family Festival last weekend, they now look forward to the IFI Documentary Festival at the end of the month and to the Dublin Arabic Film Festival which will kick off at the beginning of October. All this, plus the release of Christopher Martin's gripping war documentary Under the Wire, and a re-release of Terence Davies's exceptional Distant Voices, Still Lives.